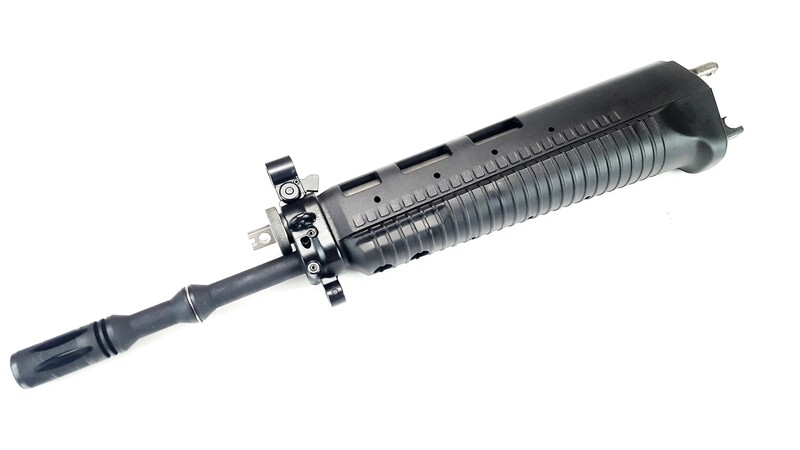 Factory Swiss SIG 551 LB Barrel Front end assembly in new take off condition. 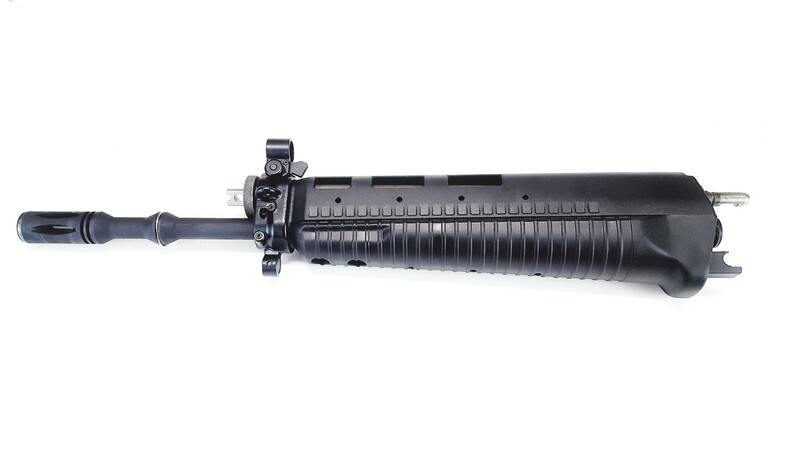 Includes Black handguard Set, Gas tube, piston and recoil spring assembly, gas regulator, barrel gas block and front sight (+N) assembly. 16" Swiss barrels and trunnions have a different thread pitch than US manufactured trunnions 556 and 551A1 thread pitch. Stock photo.